Moving can be both exciting, and stressful at the same time. There are so many things to remember and to organize. Whether you are doing it yourself, with the help of friends or having professionals come in to take care of it… there is still so much to do. Here is a quick Moving Checklist to help you get through it. 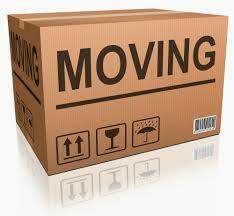 If you don’t already have a moving company in mind, do some research or ask for recommendations. Movers can come in and do an estimate before you commit to their services. Eliminate items you no longer use/want – have a garage sale or make donations to local charitable organizations. Make these decisions now so you are not paying to move things that you no longer really want or need.